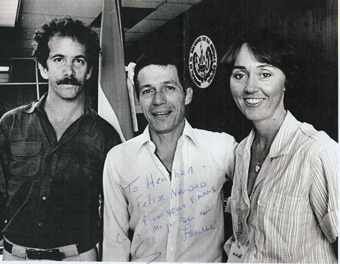 Embedded with killers: Reporters Craig Pyes, left, and Laurie Becklund with death squad leader D'Aubuisson in 1982. March 24 is the 30th anniversary of the assassination of Salvadoran Archbishop Oscar Arnulfo Romero. He was shot in the heart by a right wing death squad while saying mass in a small chapel at a cancer hospital in San Salvador. After the broadcast, Salvadoran rightist leader, former Major Roberto D'Aubuisson, gave the order to members of his security service to assassinate the Archbishop, according to the findings of the United Nations Truth Commission report. A Salvadoran online newspaper, El Faro, has published (in Spanish with an English subtitled Youtube video) the first public statement of a member of that assassination squad, former Capt. Alvaro Saravia. (Click here for an English translation of the cold-blooded account, titled, "How We Killed Archbishop Romero.") In it, Saravia confirms that D’Aubuisson masterminded the murder. The cashiered major later became the leader of El Salvador’s rightwing Arena Party. 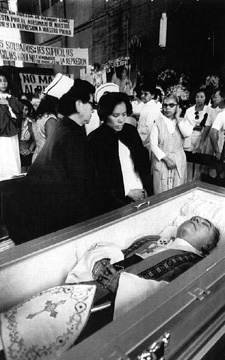 In November 2004, a U.S. federal court judge in California ruled in a civil judgment that Saravia took part in the plot to kill Archbishop Romero. It was the first time that any court has found any member of the conspiracy responsible for the assassination, said Carolyn Patty Blum, a Senior Legal Advisor for the San Francisco-based Center for Justice and Accountability, which represented the plaintiffs. She said the judge’s decision declared that the death squad that carried out Romero’s murder “acted as part of a calculated strategy by the military to terrorize the civilian population into submission.” Saravia, who is currently in hiding in a Spanish-speaking country, was ordered to pay $10 million in damages. D’Aubuisson, 47, died in 1992 of esophageal cancer. For those of us who covered El Salvador during the vicious civil war, the archbishop’s killing was not only a tragic event for the people of that country, but it gave rise to a very personal anger that such actions could go uninvestigated and unpunished. Two reporters who felt that way were Laurie Becklund, then with The Los Angeles Times, and I, an investigative reporter for the Albquerque Journal. Laurie and I knew each other through reporting on the early stages of the U.S. involvement in Mexico’s drug war, where we had independently searched out the same sources in the mountains of Sinaloa. Now, two years later, we were both in El Salvador, along with scores of other journalists who had come for the 1982 elections. But both of us had come with other ideas: to expose the death squads.  It was a job perfectly suited for a pair of young, ambitious and quixotic journalists. The Reagan Administration continually (and dishonestly) said that the death squads were composed of independent rightists, unknown and unknowable, with no affiliation to government or army. We were to prove differently. Terrorist violence against the Salvadoran people made the first part of the 1980's one of the darkest periods in that country’s history. More than 40,000 were killed or disappeared. Many of the victims were seized by heavily armed men dressed in civilian clothes, who were either assisted by or were members of the nation’s security forces. Powerful members of the country’s small oligarchy financed these death squads. The reports by Laurie and me were a unique form of primary investigation in a foreign country – a partnership between two reporters from unrelated papers. We also applied domestic reporting techniques to a remote and treacherous investigative challenge that other journalists either did not have the luxury to concentrate on, or had found insoluble. Except for “allegations” implicating D’Aubuisson, few knew the details of El Salvador’s killing machine until our stories appeared. Our stories laid out, in the Salvadoran rightists’ own words, a vast plan to physically eliminate their political enemies and grass-roots activists based on “dirty war” techniques originally carried out by the governments of Guatemala and Argentina against rebellious segments of their own populations. Although D’Aubuisson’s role as a leader of the death squads was always reported in the American press as “alleged,” curiously even by our own newspapers, he easily confessed to us that he had participated in death squad activities, and that he had drawn up a secret terror plan (a copy of which we had) that had become the basis of the political-military organization that evolved into the Arena Party. His lieutenants boastfully confessed to manufacturing false propaganda against the “left,” participating in arms smuggling, attacks against Jesuit priests, and assisting the security forces in identifying and killing opponents. Especially chilling were their revelations about a secret Argentine task force that was part of a military intelligence mission headquartered in Honduras, that tracked down leftists who had fled to Central America, and whose members also assisted the intelligence unit of the Salvadoran National Guard in setting up safe houses where they tortured and then murdered those they considered “subversives.” Their idea was to cleanse the country of hundreds of thousands of people. Later, some of the advisers went on to help set up the Nicaraguan Contras. When the stories appeared, they laid out for the first time a comprehensive, inside view of what had been one of El Salvador's deepest secrets. Robert E. White, who was the U.S. Ambassador in El Salvador when Archbishop Romero was killed, and who considered D’Aubuisson a “psychopathic killer,” told the House Subcommittees on Human Rights and International Organizations that the reporting was a “brilliant” explication of the politics of murder. A cross-border newspaper investigation such as this – it took more than a year – is as scarce today as it was 28 years ago. But that wasn’t the only novelty. In essence, Laurie and I made a decision to “embed” with the killers and their supporters, although not to the point of having advanced knowledge of, or participation in, actual operations. We were able to gather first-hand information, which we added to a database of hundreds of names and dates from open and confidential sources. I still work the same way today – but with the modern aid of a laptop. Once we completed our fieldwork and returned home, we learned of a marvelous new technology called the fax. Would I recommend doing an investigation this dangerous to other reporters today? Only for those with few next of kin. At that time, the death squads were still operating openly, and more than a dozen journalists’ deaths had been blamed on them. Without claiming any false heroics, our lives were threatened by people we knew to have either financed, assisted or directly participated in the murders of other people as a form of political action. We were trying to navigate as close to the center of the storm as possible. Near the end of our reporting, one of our sources spooked, and pointedly told us, “In El Salvador, you don’t get killed for what you do, you get killed for what you know.” He then indicated that we knew a lot. We were constantly balancing confidentiality with personal safety. Laurie and I would leave notes about our whereabouts with Raymond Bonner of The New York Times in case we disappeared. We had no competitive worries about Ray because our sources considered his paper to be “Communist” and would not talk to him. And I faced some unusual ethical choices. At one point, a bleeding and battered Richard Boyle, who co-wrote the script for the Academy Award-nominated Oliver Stone movie Salvador, showed up at my hotel asking for help because he said he’d been beaten and threatened by rightist thugs. Even though I knew Boyle, I could not endanger my own security or the success of the investigation by being associated with someone the right had set its sights on, so I painfully declined. I gave Boyle a contact in another news agency. For the final interview with D’Aubuisson, I rented two rooms in the Camino Real, under my name and under an assumed name, and slept in the room not registered to me. Julia Preston, a Pulitzer Prize-winning reporter for The New York Times, was then a not-very-highly-paid correspondent for NPR and asked if she could use my “extra” room. I did not want to reveal what I was working on, or seem stingy, and only struggled through this ethical dilemma by saying that I had a “very, very good reason” not to stay in a room registered to me. She was unimpressed, and set-up shop, not knowing that she had become the canary in the mine. I did inform her of the danger – 20 years later. Oddly, some of the most difficult parts of our reporting turned out to be not the dangers of El Salvador, but in dealing with our respective papers, neither of which was experienced in international investigative reporting. The Times foreign desk was run by an old school foreign editor with almost no investigative experience. The gulf between foreign investigation and foreign “correspondence” was, and still is, one of the widest in journalism. Since then, there have been many other investigations, and many other “cracked” editors, and El Salvador has been far from my mind – until the other day when I received an email from a young Salvadoran woman. She had read a book based on our reporting, along with the works of Chris Dickey, Alan Nairn, and Douglas Farah, that had been reprinted in El Salvador under the title, “The Death Squads in El Salvador.” Published in Spanish, it gave Salvadorans their first glimpse inside the organized killing that had terrorized the populace for so long. The young woman wrote that she had been considering a career in architecture, but instead had become a journalist, due in part to what we had written so long ago. She said in her email that she had assisted in putting together El Faro's story of Saravia’s confession in the archbishop's assassination. "I hope you read this and like what you read,” her email said. “I have been wanting to write for a long time now because I think your articles about the death squads really made an impact on me and made me begin to like journalism and now after a year of working on a newspaper I believe that this is what I want to do and I believe in what I'm doing now and who and where I'm learning to do it." I’ve never met this young woman. But in addition to whatever positive political and social change reporting can engender, the story behind this email is what makes it all worth doing. Fortunately it was people like you and John Hoagland, Bonner that broke the story on El Mozote, etc who are true journalists. These days, everyone is "embedded" and truly do not know what objectivity is due to being scared of covering "the other side" like John did.